People may want to soundproof a room for many different reasons. They may have teens that have started their own grunge band or they may have surround sound in their TV room that they want to sound cool. They may want to have some quietness if they work at home. For whatever reason, this can be a challenge for even the best do it yourself people. However, the following tips may help you a lot. You can soundproof a room in several different ways. It depends on your budget, your specific goals, and your interior design tastes. Try some of these specific tips. In order to keep sound from exiting and entering a room, you need to add lots of mass to the walls so that they don’t vibrate when exposed to the energy of sound. When you make a room from the ground up, make the walls very thick and make them out of a material that is very dense, including concrete. If you are adding to a room that already exists, use something like mass-loaded vinyl. You can also use the sound transmission loss or STL to determine the effectiveness of the material. This measures the isolation in decibels at the various frequency bands. Damping is like adding mass and is a good way for how to soundproof a room. This is a method of soundproofing that dissipates the sound wave energy by turning it into heat. You put it between two pieces of plywood, drywall or fiberboard in order to dampen the sound that goes through the wall. You can do this as a DIY project in order to add soundproofing to the door, walls, ceiling, or floor. This is based on the principle that whenever two different structures contact one another directly, the vibrations from sound can be transferred from one object to another, making the sound issue worse. Decoupling involves blocking that transfer of sound by keeping the contact points isolated from one another, usually with some kind of rubber. Build double walls with an air gap in between to block out the sound. You can do this also by insulating the space between the two layers. Build a floating floor by using rubber isolators. Isolate layers by using resilient sound clips or resilient channels to make a floating ceiling or floating wall. Isolate the studs from the ceiling, walls, or floors by putting on joist gasket tape onto the different studs. Acoustical chalk that can seal up perimeter cracks in the room or any tiny holes you may see. It is soft so it won’t gap later. Foam gaskets are able to seal up any gaps around windows, doors, or electrical outlets, among other places. Automatic door bottoms can be used to block the spaces between the doors and the floor beneath. The above ways are theoretical explanations. The following methods are easy for you to try as the first step to soundproof your room. Putting thick blankets over walls and windows can absorb the sound. Use heavy sound curtains if you have the extra money to do so. They work better with thin walls than they do with walls and windows that are already very thick. 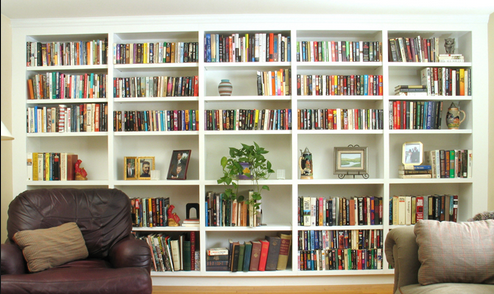 You can thicken the walls and make them more sound proof by using bookshelves near the walls. Books can be good sound barriers so, if you put in a bookshelf, you have to add books to add the thickness to the walls. An empty bookcase will not achieve the same effect. As you have already probably noticed, when sound is turned up really high, the rattling and buzzing sounds are the most noticeable. This is why you will want to mount things, such as speakers. Make use of vibration insulation pads when you mount the speakers so they don’t annoy people around. This is a rubber loop that you can nail to the bottom of a door in order to block the gap between the door and the floor or the door and the top of the door frame. You may need to put on a strip of lumber at the bottom of the door if the gap between the door and the floor is too big. This is also a good answer to how to soundproof a room. They are very good insulators for all frequencies of sound. Some come already with their own adhesive peeling, so you can just stick them on. If not, use a spray adhesive to stick the panels onto the walls and the ceiling. Cover the whole surface or just a part of the surface, depending on how much noise you want to keep out (or in). If you want to soundproof your room like the studio quality, the following video will tell you how to achieve it.